Share this post! | Compartir este articulo! We consider V12 Yoga to be an extension of our own homes and our members have become extensions of our families. To showcase how proud we are of our extended famil, we recently had the pleasure of interviewing our lovely member Jessica Yañez-Perez, marketing and communications manager of Trinity Basin Preparatory. What you love about yoga? I love how yoga allows me to focus on my mind-body connection. I feel so good after each practice. Yoga has allowed a way for me to focus on something other than the million other things running through my mind each day. For at least one hour I’m able to be in the moment and not worry about all the craziness that is life. My favorite pose is the half chair ankle to knee because it makes me feel strong and there is nothing better than feeling strong. 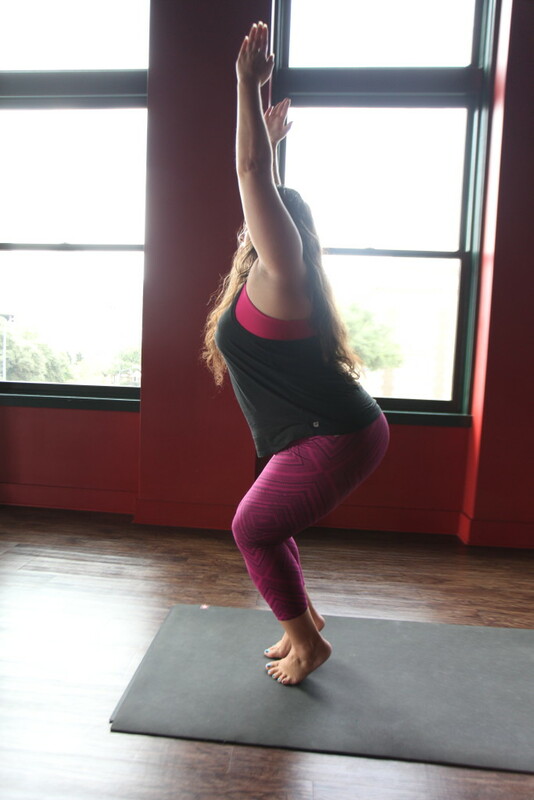 Why do you love V12 Yoga? 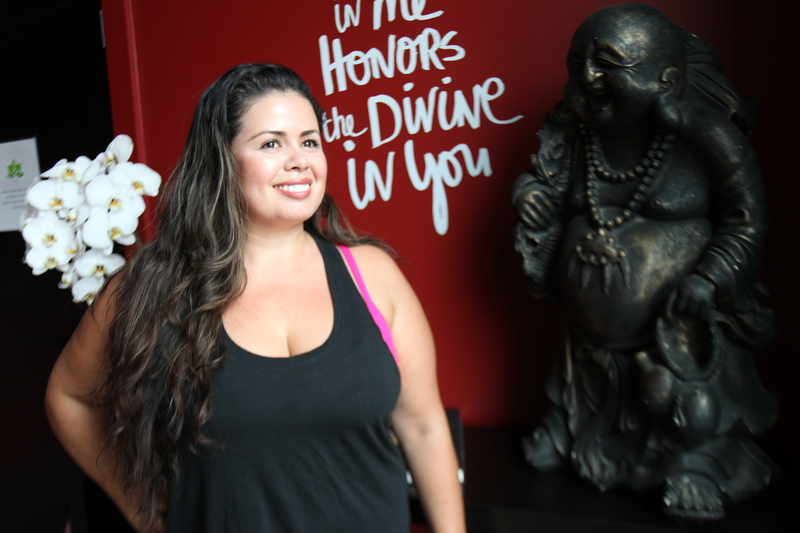 V12 Yoga is like family, the instructors at V12 Yoga helped me prepare for major knee surgery and they have been there to help me with recovery every step of the way. I also find that the downtown view soothing during my practice. God first and before anything else. He gave me this body and it is my job to take care of the house he has lent me. What tops your Bucket List? I want to travel around the world. Australia and Greece are definitely first on my list. What’s in your yoga bag right now? Right now I’m obsessed with Fabletics leggings, there’s always a pair or two in my bag. My Adidas slides, probably from the athlete in me that never wanted to let them go. Extra hair ties because I’m always losing mine. A full water bottle, you can NEVER be without water. And lastly, my Lululemon yoga mat. I tend to sweat a lot and have gone through quite a few but I finally found a mat that keeps me from slipping and sliding. © 2019. V12 Yoga. All rights reserved.